Featuring important theories and trends not covered in other foundational texts, this book is designed to equip the next generation of counselors with the tools they need for understanding the core dimensions of the helping relationship. 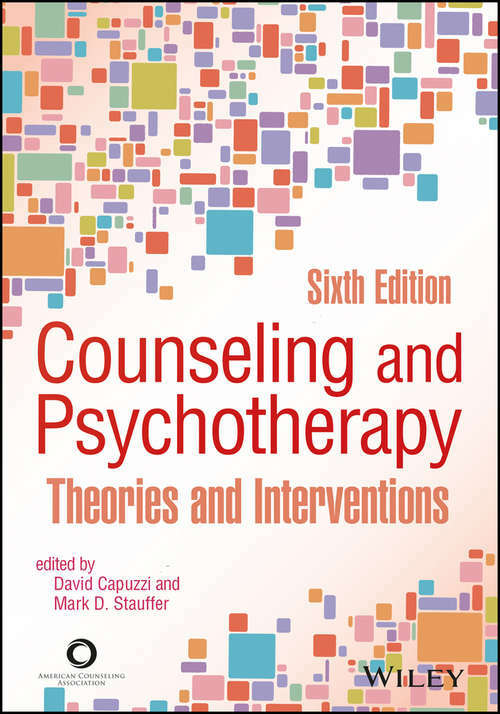 Topical experts provide contemporary information and insight on the following theories: psychoanalytic, Jungian, Adlerian, existential, person-centered, Gestalt, cognitive behavior, dialectical behavior, rational emotive behavior, reality therapy/choice theory, family, feminist, transpersonal, and--new to this edition--solution-focused and narrative therapies, as well as creative approaches to counseling. Each theory is discussed from the perspective of historical background, human nature, major constructs, applications, the change process, traditional and brief intervention strategies, cross-cultural considerations, and limitations. The use of a consistent case study across chapters reinforces the differences between theories.